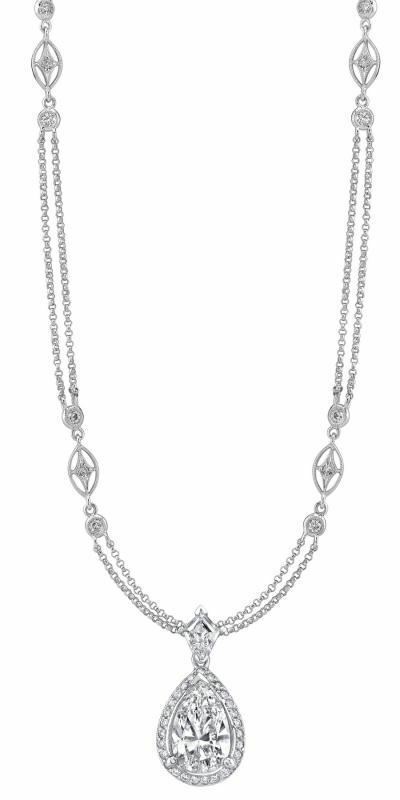 Couture Collection Pear Shape Halo Drop Diamond Necklace by NINACCI and sold by Bayside Jewelry. There is nothing other than simple elegance of a 4.01ct Pear Shape GIA G SI2 centerstone. 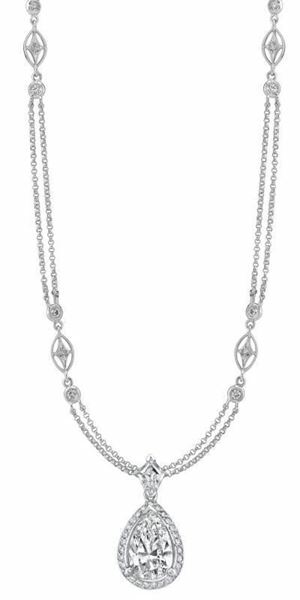 This Halo drop pendant with two Kite-shaped diamonds and 27 colorless Rounds will make any woman feel like a Queen. Total weight of 4.79ct.